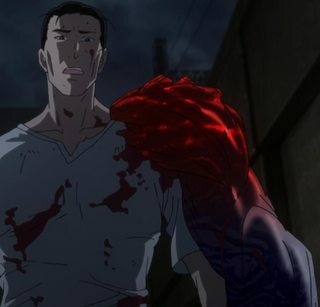 I love Tokyo Ghoul and have the manga, but can someone please explain to me why Kuzen doesn't have red eyes when wielding his kagune in the anime? Is it just a mistake made when animating this episode? Is this related with the fact that the manager always has his ghoul eyes in the later episodes? Most likely, it's a mistake. If it isn't, it could be a sign of weakness. Eyes manifest on extremely RC dense Kagunes like kakujas, and I believe the kakugan is when RC cells enter the eye and turn it black due to concentration. Since his eyes aren't black while his Kagune is manifested, it means he doesn't have enough RC cells in his body to manifest Kakugan. Why is Kaneki's fighting ability improved when he put on his mask? Why are ghouls' eyes red? 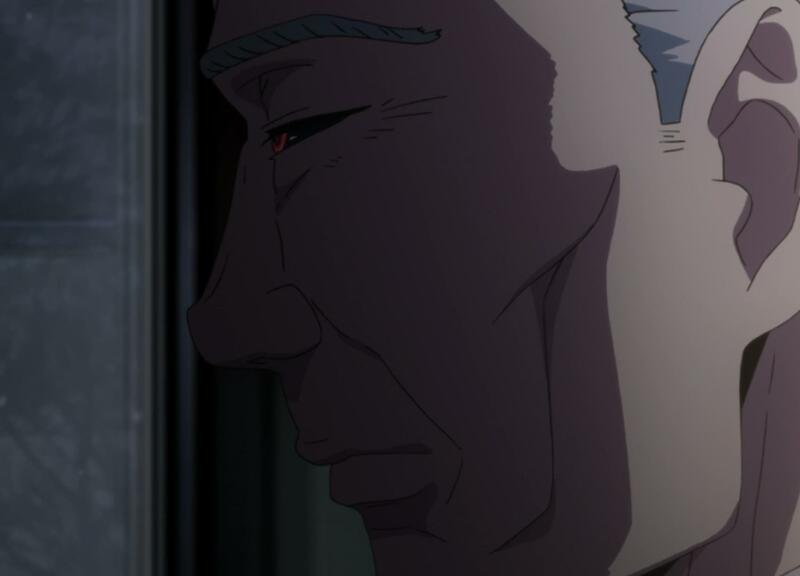 What is this anime about a guy with white hair and an infected(?) eye, who often cracks his index finger?